Rotation Gallery is a plug-ins for Adobe Lightroom which allow making instant gallery. Now photographers can make their own Rotation Gallery without using Flash. 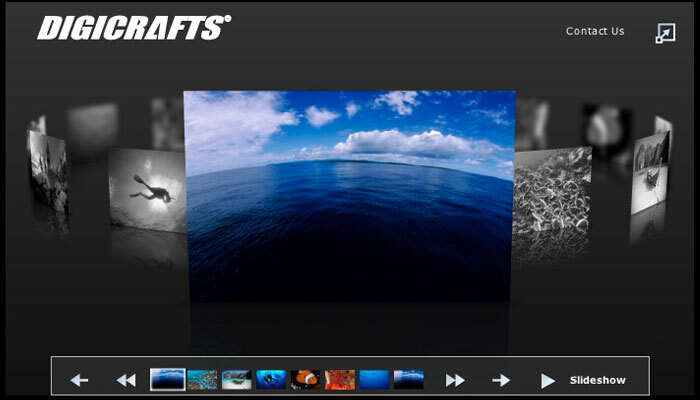 With extremely "easy-to-use" interface, just a few click from the interface to create a gallery. And that's it! You just need 1 mintue to convert your photo collection to 3D Rotation gallery with tons of effect. The gallery allow customize links for each images. Custom Control Bar Icon- The icon on the control bar are customizable. Simply replace the icon images file and the icon will changed.